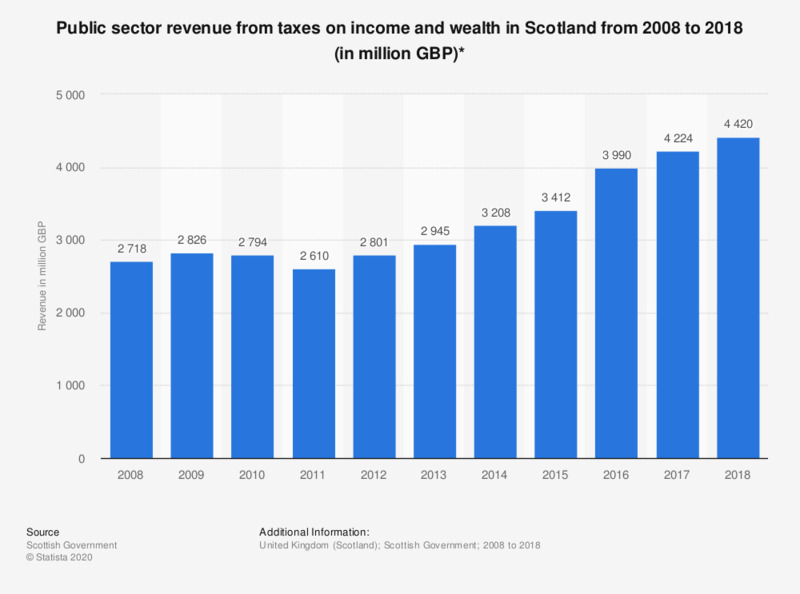 This statistic shows the income and wealth tax revenues in Scotland from 2008 to 2017. Throughout this period, income and wealth tax revenues experienced continuous increase except in 2010 and 2011. In 2017, the income and wealth tax revenues amounted to approximately 4.3 billion British pounds.